The Pentagon defended its military effort to defeat Islamic State militants in Iraq and Syria after the nation's top intelligence official said Thursday the two-year mission there has failed to significantly diminish the extremist group's global reach. "The military effort to defeat [Islamic State militants] is absolutely necessary, but it is not sufficient to deal with this threat in full, and I think we've been quite clear on that," Pentagon spokesman Peter Cook said Thursday. Cook was responding to testimony from CIA Director John Brennan, who gave lawmakers a sobering assessment of the Islamic State group, also known as ISIS or ISIL, and its capability to mount terrorist attacks. "Unfortunately, despite all of our progress against ISIL on the battlefield and in the financial realm, our efforts have not reduced the group's terrorism capability and global reach," Brennan told the Senate's Select Committee on Intelligence Matters. "The resources needed for terrorism are very modest, and the group would have to suffer even heavier losses on territory, manpower and money for its terrorist capacity to decline significantly," Brennan said. Brennan did acknowledge the tactical success that the military was having on the ground against ISIS. "ISIL has lost large stretches of territory in both Syria and Iraq. Its finance and media operations have been squeezed, and it has struggled to replenish the ranks of its fighters — in part because fewer foreign fighters are now able to travel to Syria," Brennan said. 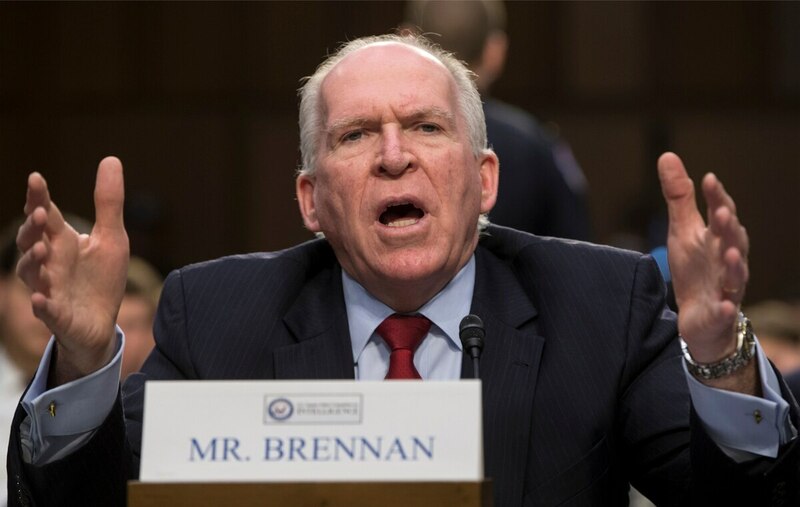 Brennan said the number of ISIS fighters across the Middle East and North Africa far exceeds what al-Qaida had at its height, estimating the group has "tens of thousands of individuals." "Coalition efforts have reduced the group's ability to generate revenue, and have forced it to cut costs and to reallocate funds," Brennan said. "Yet, ISIL is adapting to the coalition's efforts and it continues to generate at least tens of millions of dollars in revenue per month — primarily from taxation and those areas that it controls, and from crude oil sales on the black and gray markets inside of Syria and Iraq." "There is no way you can look at ISIL today, and look at the geographic territory they control, look at their leadership, look at their ability to communicate and judge that ... they are in a better position today than they were, say, a year ago," Cook said. "This is not going to be easy, and we've never said it would be. And I think Director Brennan's acknowledging that, and we share that assessment … but we also want to make clear that we believe the military campaign against ISIL has shown results, continues to show results, and will going forward, as well," Cook said.